SolarReserve South Africa (Proprietary) Limited received a grant from the U.S. Trade and Development Agency in order to promote their Urban Solar Farms initiative in South Africa. This initiative aims at developing a new business model for large industrial and commercial electricity consumers so that they can cost-effectively use solar in urban areas as a potential alternative to grid power. The grant encourages the motives of the U.S. government-led Power Africa initiative and also supports the development of solar farms up to 200MW, that ranges in size from 5-30MW. These solar projects will deliver power to consumers either through wheeling arrangements with municipal distribution companies or directly, and will be privately owned and operated. The primary aim of this project is to solve the problem of roof space constrains, and these solar farms will be mainly installed in areas that have high demand for daily energy consumption. Additionally, Urban Solar Farms will integrate solar power with energy storage to meet grid stability and peak energy demand requirements, and will also help in network upgrades and to defer utility substation. This groundbreaking study has the potential to impact the way municipalities across South Africa accommodate privately-owned clean power generation within their distribution borders. It represents a unique approach to involving the private sector in expanding South Africa's generation capacity, while stimulating job growth and small business development. Urban Solar Farms possess the ability to hold a significant position in the South African markets for mid-sized generation projects that deliver clean and reliable power supply for customers who have substantial energy demands. This unique private sector-led power solution is a clear demonstration of the impact Power Africa is having on Africa's economic development. 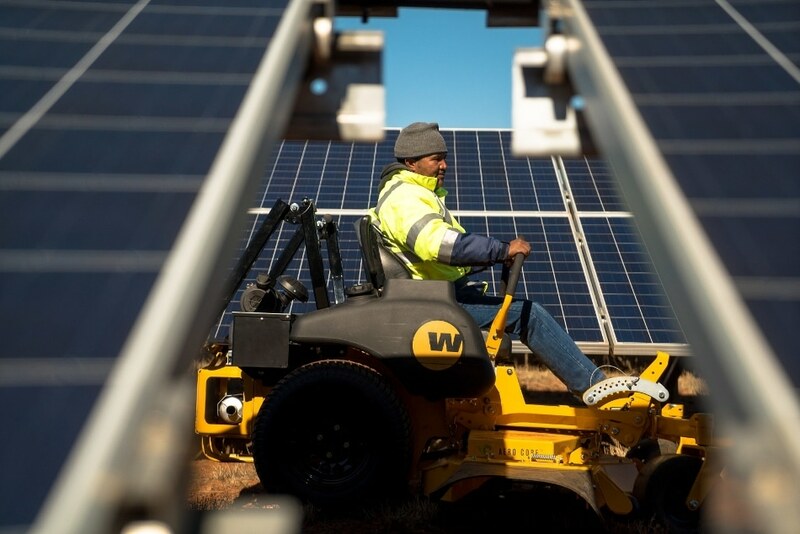 Working together with an innovative American company and a strong partner in South Africa, USTDA is proud to support increased use of renewable energy that will spur broader gains across the economy. SolarReserve is one among the top global energy developers that has 246 mega watts of solar capacity already on-line in South Africa, 450 megawatts bid into the recent round of bidding in South Africa, and additionally 100 megawatts of solar thermal with energy storage awarded by the South Africa Department of Energy. A U.S-based firm Mott MacDonald, Inc. that is a global engineering, management and development consultancy located in almost 140 countries has been selected by SolarReserve to administer a critical study. SolarReserve will obtain various economic, technical, financial, regulatory, legal, commercial, and permitting inputs from this study, and will utilize them to conclude its strategic analysis and to proceed with financing and implementation of the solar projects. This grant agreement was signed at the U.S.-Africa Business Forum in New York City, which aims at strengthening trade and financial bonds between Africa and the United States.